We had morning glories one year that we had a large amount of rain which caused a little flooding. 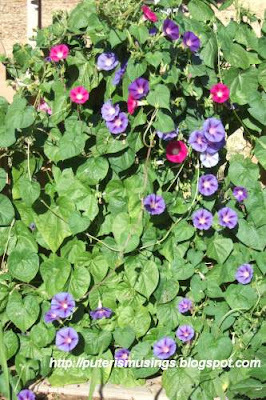 Now all the neighbors south of me have morning glories along their front fences. I love morning glories.